Your initial consultation begins in our serene guest waiting area where Elaina Lester, our aesthetic coordinator, will greet you. Elaina will begin your appointment by discussing your facial aesthetic concerns, and together, you may view a before-and-after gallery of Dr. Yellin’s patients with similar issues. To further personalize your experience, Elaina will guide you in ranking your concerns in their order of priority so that Dr. Yellin can prioritize his treatment recommendations. Your unique aesthetic experience with Dr. Yellin begins with a consultation. He takes the time to listen and guide you toward a treatment plan that is specific to your individual needs. 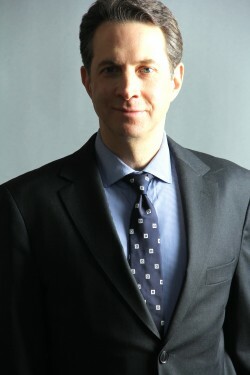 Dr. Yellin will use his expertise, artistry and cutting-edge techniques to help you realize your aesthetic goals. Our success is your happiness. He will then share his insights, blending his artistic eye with his unmatched clinical experience to help you create the most beneficial treatment plan. Dr. Yellin will describe the details of each recommended procedure and may review clinical examples to help you appreciate the aesthetic impact of his treatment plan. You will be provided with a great deal of information, and we welcome you to bring a friend, significant other or spouse with you to your consultation for support and guidance, if desired. Elaina will then return to review the planned procedures and walk you through the financial plan, including itemized procedure prices and facility, anesthesia or additional fees, if applicable. You will be provided a copy of your treatment plan, including all financial details. You will then schedule your procedures and be on your way, looking forward to your journey towards an even more beautiful you. To facilitate procedure scheduling, we encourage you to have your calendar with you. It is our desire to accommodate your window of availability, however, our first available appointments are often four to eight weeks out. As such, if you are planning to look great for a special occasion, we encourage you to come for your consultation at least two months prior for non-surgical treatments and four to five months prior for surgical procedures, to account for scheduling and recovery. If you are coming in for a consultation and desire same-day treatment with either Botox® or injectable fillers, please notify our office when scheduling your consultation so that we can plan sufficient time together. To optimize your experience, two weeks before your appointment we recommend the following to minimize post-treatment bruising: Do not take aspirin, NSAIDs such as Aleve®, Advil® and other ibuprofen products, fish oil, vitamin E supplements (a multivitamin containing vitamin E does not need to be stopped), and any herbal products. These recommendations are also relevant if you are having a surgical procedure.